2.38 mm 2 1/2 in. 127 mm 2 7/8 in. 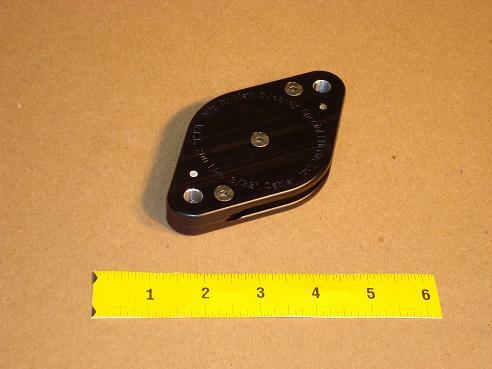 This diamond sheave has a 3/32' x 2 1/2' M2B aircraft pulley.